On Saturday, the 23rd March, 2019, we formally said goodbye to John Smith. A common enough name, a profoundly ‘one out of the box’ character in more ways than one! More of that later! We first gathered in the Wave Baptist Church in the seaside village of Ocean Grove, on the beautiful Bellarine Peninsula, not far from Geelong. Ocean Grove had been John and wife Glena’s ‘retirement home’ for the past ten years. A traditional Aussie BBQ welcomed all who began to arrive from midday onwards for the 2.00 p.m Memorial service. It was a warm sunny afternoon with a beautiful sea breeze wafting across the gathering which grew numerically quickly as groups of motorbikes and other in cars started arriving. It had a festival, celebratory type feel. Rather fitting, for John, who had given addresses at countless Christian festivals over the decades. Estimates vary on how many would eventually arrive but the local pastor who hosted the gathering said around 1,000 to 1,500 people squeezed into the church with stacks outside watching on large screen T.V’s with a fine speaker system for those of us outside. It was also a massive reunion, as the occasion brought together many people who hadn’t seen each other for years. Each person and group represented the rich tapestry and influence of John’s extraordinary life of almost 77 years. There were senior Christian Church figures and mission agency leaders, those who had been members of the two Churches John had founded-Truth & Liberation Concern, Bayswater and St Martin’s Community Church, Collingwood. Former staff of the mission agency he founded, Care and Communication Concern and of course a huge presence of members of God’s Squad Christian Motorcycle Club, the club he led as the Melbourne Chapter founding President from 1972 onwards to his role as International President up until recent times. The club colours that he wore for 47 years! The club with its humble beginnings in Sydney (1971) was now in 16 countries around the world as a huge number of members attended from within Australia and Overseas chapters. 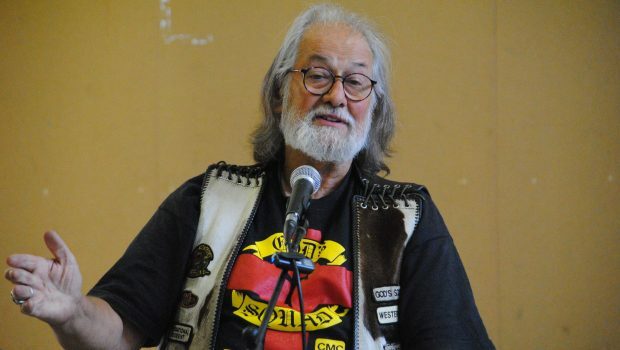 John was honoured too with the attendance of other Christian motorcycle clubs from here and abroad and many representatives of Melbourne based 1% clubs who he had a special passion for in terms of his vision of taking the gospel to the margins. More of that later! And of course members of John’s family-his wife, siblings, children and his 17 grandchildren. Indigenous Christian leader, Auntie Jean Philips opened proceedings and brought the acknowledgement to country and gave the first tribute to John. His passion and deep friendship with indigenous peoples across the decades was an inspiration to her and countless others. No mission or visit around this country was complete without a visit to the local aboriginal community, usually accompanied by great hospitality and Harley rides around the nearby football oval. John brought his clarion cry of justice and was never afraid to call out racism when he encountered it. It was his conviction that true and deep revival would never come to Australia until we had fully dealt with our past marked by murder and theft of the land. John’s theological hero was the great 18th century itinerant preacher / evangelist and founder of the Methodist Church, John Wesley. It was fitting that the service was led by one of his great mates in ministry over five decades, the South Australian Methodist minister, the Rev Ian Clarkson, who also worked for a season on John’s staff team at Truth & Liberation Concern. The first song that was sung by the congregation was a rousing hymn by the great Charles Wesley, brother to John. Ian later preached a short gospel address and made the obvious comparisons between Wesley’s 225,000 miles on horseback as he preached his way around the United Kingdom and John’s estimated 2.25 million miles on a variety of motorcycles ranging from his early Honda 4, Kawasaki 900 and a several Harley Davidson’s. Anyone visiting John at his family home in Boronia in the Eastern suburbs of Melbourne was always struck by the huge variety of music constantly playing in the background. 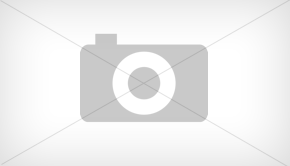 Old style gospel hymns, blues and blue-grass, rock n roll, Christmas carols and classical orchestra songs. It was fitting for two fine musicians to perform at his funeral. The local Australian Christian music legend Steve Grace performed ‘It is well with my Soul’ ably backed up by God’s Squad companion Di Dhursma. Later, Irish singer Sammy Horner chipped in as well. Just as the Wesley brothers brought preaching and music together in their outreach, John worked with both Steve and Sammy on many a mission tours as he did with countless other fine musicians, here and abroad. Steve Drury was John’s ministry and missions manager from the mid-eighties to the mid-nineties and he stood next to reflect on that period of John’s ministry. Steve spoke of John in terms of his phenomenal energy and capacity to get alongside and communicate with such a vast variety of people from school students to senior citizens with his deep understanding of culture and people in general. John led well over 50 short and long term missions in that decade as well as writing several books. Thousands turned to Christ or recommitted their lives to Christ while hundreds were inspired to devote their lives to full time Christian ministry. Another aspect Steve pointed out was that John led significant teams in those years, most of whom are still active today in Christian leadership and work. During the 1989 Manilla based Lausanne Missions Conference, John and a colleague were arrested while protesting the demolition of poor people’s homes by the local militia. An uneasy night in gaol with the threat of execution the next day was the order of the things. Steve made contact with then Labour Minister Senator Michael Tate as well as the Australian media. Interventions in high places saved John and his colleague from certain death. John Smith and God’s Squad went together like a hand in glove. This dimension of John’s life was addressed by Sean Stillman, President of the South Wales chapter of God’s Squad in the U.K and a major player in seeing the club established in the U.K, Ireland and Europe. Sean’s tribute commenced with another tribute from Bono-lead singer of U2, via a last minute e-mail. He referred to John as John ‘the Baptist’ Smith likening him to that great New Testament prophet and forerunner to Jesus and how John viewed the Bible as an ‘incendiary tract, not some handbook on religion or a sop to mankind’s fear of death, but an epic poem about life,’ which spoke to culture, politics and justice. Sean described with passion others dimensions of John. Discipleship and mission were best taught and learned, ‘on the road,’ rather than the academy even though John would complete a Doctorate in Missiology later in life focussed on the Jesus Movement of the late 60’s, early 70’s as a contemporary revitalization work of the Holy Spirit. One of John’s grandson’s Jordan, gave a warm and poignant tribute, recalling John as one known simply as ‘Pa’ who regularly went the extra mile for them and how they loved to go fishing with him. Not to be outdone by all the tributes to him, John appeared on the screen, as people began leaving the Church, in a short video-clip of a sermon I have heard him preach on many occasions. It was from a passage in the gospels where John the Baptist is now in jail, and full of doubt about his life and mission in pointing others to Jesus. Jesus sends a word of reassurance back to John via his followers, “Tell John what you have seen and heard, the blind receive sight, the lame walk, those with leprosy are healed, the dead are raised, and the good news is preached to the poor.” John called upon his listeners that the disciple of Jesus was to likewise mirror Christ and to carry on his mission in word and deed to a lost and broken world. 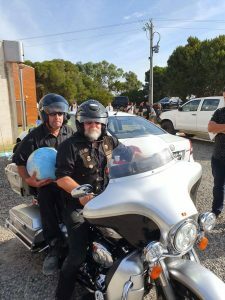 John’s final ride from Ocean Grove to Point Lonsdale was on his trusty Harley-Davidson ridden by long time mate, supporter and God’s Squad member, Brouss Ngunanti Chambers. Riding pillion was John’s son Paul carrying a large globe of our world that contained John’s earthly remains, to represent the fact that “the world was indeed his parish.” As his ashes were poured into the ocean, close to the rip where the waters of Port Philip Bay, roll out into Bass Straight, prayers were said, and I could hear his grand-children saying ‘bye Pa’ in loud voices. It was a moving moment. Dave Smart, President of the New Zealand Chapter spoke a traditional Maori acknowledgement of the land and its people, farewelled John and spoke a lament over his passing, followed by his wife Joy singing a Maori lament. Gatherings followed late into the night at Kathy’s home nearby and back at the God’s Squad clubrooms in Collingwood. By Dave Fuller, part of John’s mission and pastoral team from 1987-2001.